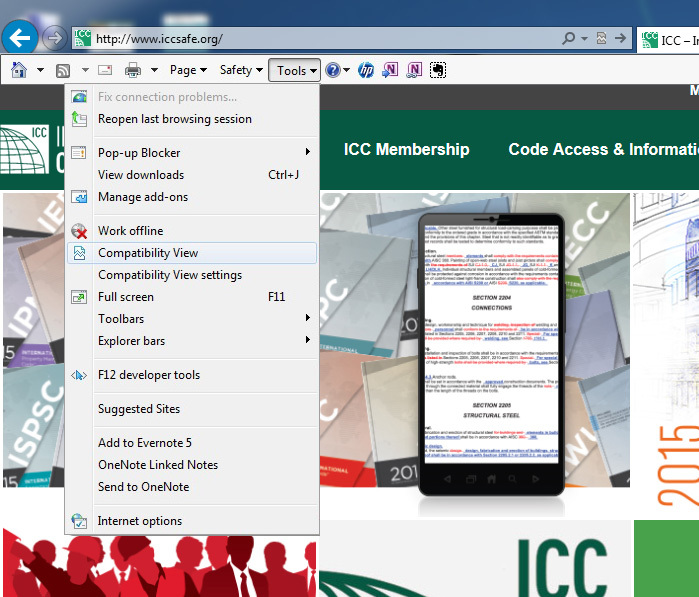 If you are using Internet Explorer as your browser you will need to disable compatibility mode for best results with this website. Please perform ONE of the following methods below to ensure that compatibility mode is disabled in your browser. Click/tap on the highlighted Compatibility View icon button. The webpage will now reload with Compatibility View turned off for it. Click/tap on the Tools Menu Bar (ALT+T) item and unclick Compatibility Mode if it is active. 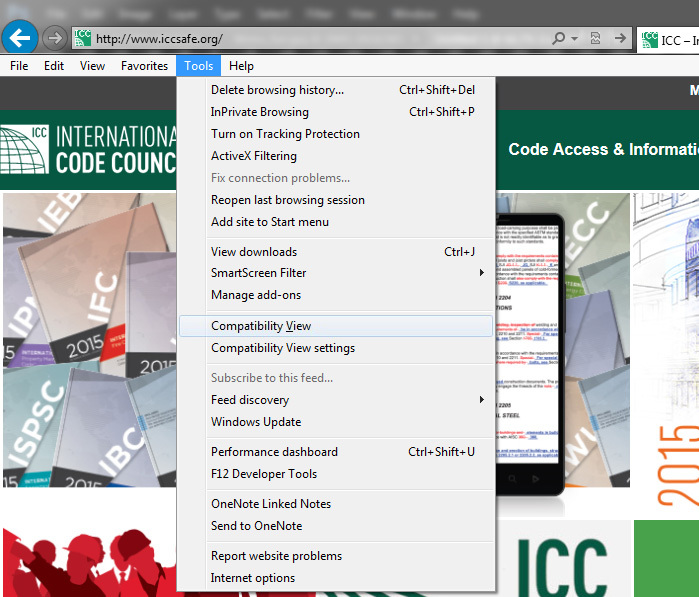 Click/tap on the Tools Command Bar button and unclick Compatibility View. If you are still experiencing problems please contact support for cdpACCESS by calling 855-ICC-CDP-1 or sending an email to cdpACCESS@iccsafe.org.